InControl Apps, Terrain Response®, parking aids and an on board navigation system help deliver a more intuitive, assured and responsive drive. They can also help ensure easier accountability. These days, as many companies enjoy a more global presence, the need to have vehicles that are a true representation of their values and standing becomes ever more acute. Which is why so many now include ours in their fleet profiles. Capable of being equally at home in Whitehall, Wellington or Winnipeg, they represent a truly competitive Total Cost of Ownership whilst delivering the most connected and capable of drives. Ask your Land Rover Account Manager for more details. Land Rover InControl connects your Land Rover to your world. Using the very latest technologies, it provides smart connectivity both inside and outside the vehicle. You’ll find InControl Remote makes life easier when it really counts. The Smartphone App lets your people prepare for a trip by checking fuel levels and range remotely. The App can find their vehicle in a crowded car park and check whether it was left locked or unlocked. And, it can download their journeys for business expenses. Monocoque bodies are now featured on many of our vehicles including Range Rover, Range Rover Sport and New Discovery Sport. . An all-aluminium frame offers greater strength coupled with reduced weight and leads to improved fuel consumption and lower CO2 emissions. This revolutionary technology was first used in the aerospace industry. Range Rover Evoque's class-leading nine-speed transmission has enhanced the sheer driving pleasure of the vehicle and, just as importantly, by being 7.5 kg lighter than the previous six speed model, helped deliver better fuel efficiencies. Drivers also enjoy greater control in low-grip conditions. Adaptive Dynamics monitors the vehicle’s movements over 500 times a second, reacting to driver or road inputs virtually instantaneously, helping to give greater control and minimise body roll. This guarantees a more composed ride. 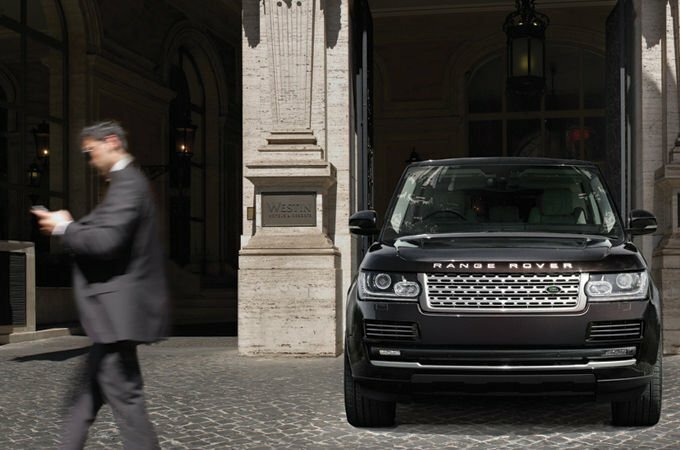 The system is available on such vehicles as Range Rover Sport. ECO mode on vehicles such as New Discovery Sport provides a continuous flow of information and feedback via the touchscreen, including instantaneous fuel consumption readings, historical data comparisons as well as tips on improving driving styles. This can help lower costs and improve overall efficiencies. Wildlife conservation: Tiger coming out of a Defender owned by the Born Free Foundation. Land Rover has been supporting the Military in a broad range of defence and peacekeeping roles for more than 60 years. On-road and off-road, Land Rover Utility Vehicles bring a unique blend of practicality, performance and technical excellence to work. Defender loves challenging environments. That’s why it is an ideal choice in mining situations where safety is paramount and companies have to adhere to rigorous standards. Both Land Rover military and civilian ambulances were launched in 1954, meeting a need for a reliable vehicle over rough terrain. Discover our preferential prices for Military customers. 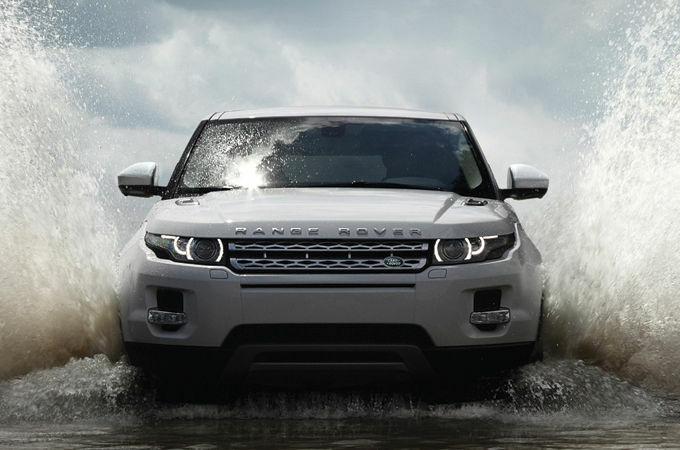 You may be eligible to purchase a new Land Rover tax-free. 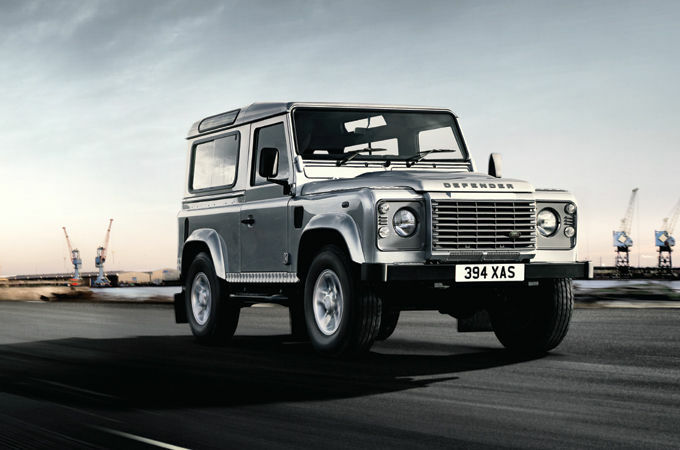 Land Rover has always customised vehicles to meet professional requirements. 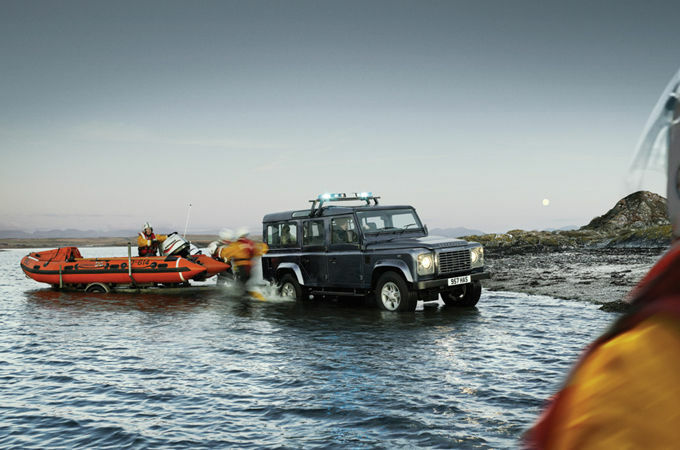 Vehicles from Land Rover feature some of the most advanced safety and security available today such as our InControl Protect system, which can automatically send out an SOS Emergency Call to bring relevant services to your exact location in the event of a critical situation. Our vehicles are available with a range of pioneering active safety features. These include: Blind Spot Monitor, which uses radar sensors to alert the driver to any vehicle hidden in the blind spot; Adaptive Cruise Control, which helps maintain a safe gap from the vehicle in front and Queue Assist, which allows the vehicle to come to a stop when it reaches a traffic queue. To ensure maximum security, our vehicles are constantly protected by an alarm and engine immobiliser. And on some models, an InControl Secure system can detect any illegal movement of the vehicle and liaise with the authorities to pinpoint its exact location. Jaguar Land Rover has been named BITC (Business In The Community) Responsible Business of the Year in 2013. In fact, we’re the UK’s first ever manufacturing company to win this highly regarded award. It recognises a continued investment to improve our environmental performance, and increase skills and opportunities for employees and young people.